Brakes. When we buy a car, we don’t think of them like fuel that need to be paid for on a regular bases… but like it or not, brakes are not built to last the life of your car. How much you spend on brakes is entirely up to you and largely a function of how often you take your car in for a Stittsville or Kanata brake job when needed. You see, the cost of Kanata or Stittsville brake job is often the product of you catching the warning signs that lead to disc replacements versus disc, rotors, drums, and the whole brake shebang. It is no secret that “transmission problems” can be the two scariest words when you are in a Kanata or Stittsville garage. But before you ignore transmission warning signs, keep in mind that repairing your Stittsville or Kanata transmission can be as little as $150. Yes, replacing a transmission – which is worse case – can be thousands of dollars. But before you decide to ignore your transmission issue and drive your car into the ground… milking ever single kilometer out of it you can – find out what you are dealing with by visiting a certified transmission specialist. 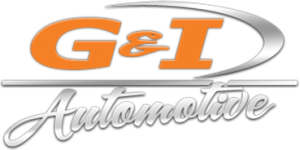 Not every Stittsville or Kanata garage will specialize in transmission repair – G&I does.